Marco Belpoliti. Introduction by Simona Forti. One of Italy’s finest literary critics, Marco Belpoliti is the curator of the Italian edition of Primo Levi’s complete works. Despite his pioneering decades-long critical engagement with Levi, his work remains largely unavailable in English. 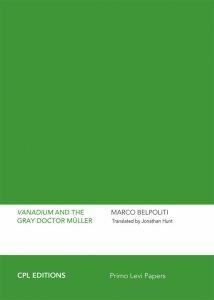 Belpoliti’s essay on Levi’s chapter “Vanadium” from The Periodic Table is a slim but insightful and thought-provoking volume, introduced by philosopher Simona Forti also includes Levi’s original short story. After surviving Auschwitz, Primo Levi never stopped questioning how the German culture which had given humanity Goethe and Beethoven, had produced Nazism. 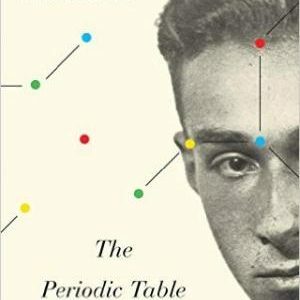 In his quest for a deeper understanding of the circumstances and mechanisms that had turned a people into barbarians, and to confront post-war Germans with his testimony, Levi sought a dialogue with them. The desire and need for such a dialogue manifest clearly in his fiction and non-fiction alike. 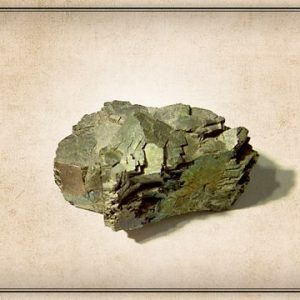 His determination to have If This is a Man translated into German, the short story “Vanadium” in The Period Table, and the chapter the final chapter “Letters from Germans” of The Drown and the Saved are the more overt examples of this tension. Marco Belpoliti is an Italian writer, essayist and literary critic. 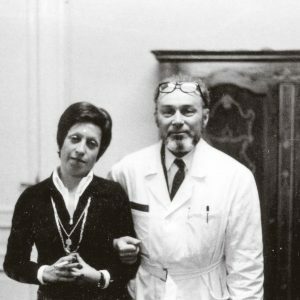 In his decades long critical engagement with the work of Primo Levi, among other works, he has edited a monographic issue of the journal Riga, Marcos y Marcos, dedicated to Levi in 1977 and a second one in 2017, has co-authored with Robert Gordon The Voice of Memory, Primo Levi interviews 1961-1987, The New Press, 2001, written the screenplay for La strada di Levi a film by Davide Ferrario 2006, authored Primo Levi Di fronte e di profilo, Guanda 2015, and La Prova: Un viaggio nell’Europa dell’Est sulle tracce di Primo Levi, 2nd Ed., Guanda 2015. Marco Belpoliti is the curator of the new edition of Primo Levi’s Opere complete, Einaudi, 2016. Among his recent books, are Camera Straniera, Johan & Levi, 2012, Il segreto di Goya, Johan & Levi, 2013, L’età dell’estremismo, Guanda, 2014, Chi sono i terroristi suicidi, Guanda 2017. He is co-director of the journal Riga, has founded the magazine In forma di parole and the publishing house Elitropia. Belpoliti also directs the magazine and publishing house Doppiozero. He is a full professor in the Department of Literature Philosophy and Communications at the University of Bergamo.